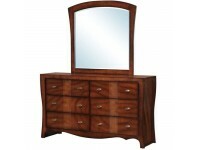 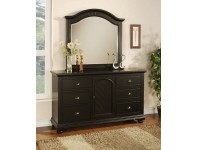 Warm Cherry Semi-Gloss Lacquer Finish Storage Drawers in Footboard Beveled Mirror & Uniqu.. 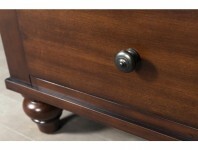 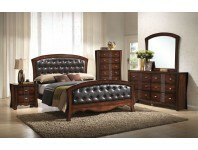 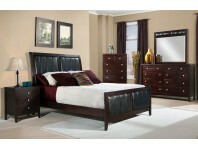 Medium Espresso Finish Padded Button Back Headboard & Footboard Inlay Design on Case.. 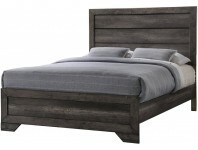 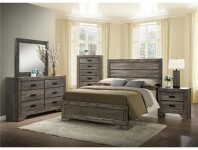 Deep Espresso Semi-Gloss Finish Padded Headboard & Footboard Beveled Mirror ..
Driftwood Gray Oak Finish Felt-Lined Top Drawers Distressed Woodgrain Look Also Availa.. 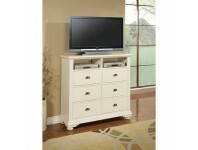 Smooth White Lacquer Finish Twin / Full Beds Available Matching Bun Feet on All Pieces Dark.. 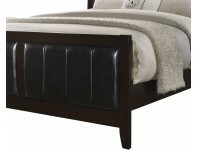 Smooth Black Lacquer Finish Twin / Full Beds Available Matching Bun Feet on All Pieces .. 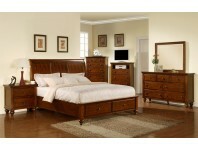 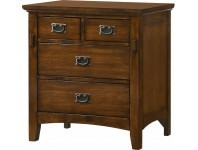 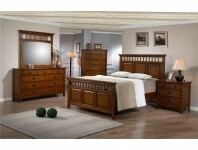 Warm Classic Oak Finish Mission Slat Style Bed & Mirror Antique Finished Knobs and Handle..